Kids are fast, curious and unpredictable. 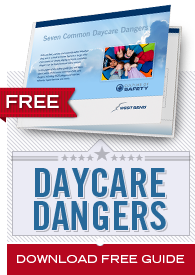 Whether they’re in a small in-home daycare or a large child care center, countless dangers can be found around every corner. At West Bend, our child care professionals recognize just how important and difficult caring for children can be. Sign Me Up! *Your privacy is important to us. We will never share or exploit your email address.